It’s an early morning in June; the night air quiet and blissful, only the sound of waves on metal can be heard. The thumping in your heart besets this peaceful setting. You know this day will either be your last or the first of similar experiences that may lead to your graphic end. The night before, you were provided a special meal in celebration of a plan that could easily turn the tide of war. The meal, which seemed like a good idea at the time, has turned to acid in your stomach and many others around you being rocked by the sea. The occasional sound of seasick hurling breaks the silence of the night as you use your helmet to help remove the layer of seawater and vomit at your feet. As land approaches, you pray to your God, check your equipment and muster whatever courage you can to fuel you through the harrowing moments that will certainly follow. While still covered by darkness, the enemy spots a glint of shimmer on your landing craft’s steel hull. In a moment, screaming rounds of enemy fire that seem to bring forth the bowels of hell itself shatter all stillness. 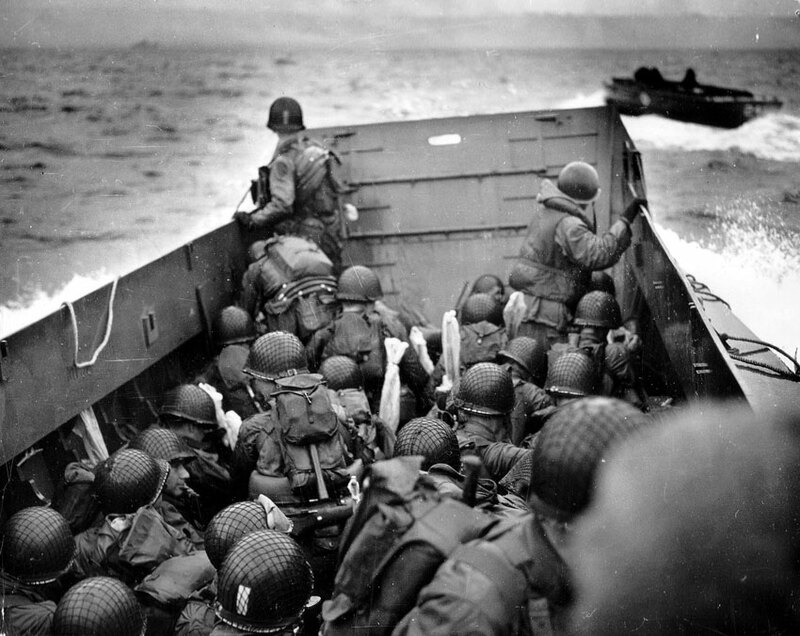 As the enemy fire becomes increasingly more effective, the gates of the landing craft drop, as do the bodies of the men to your left and your right. What now? 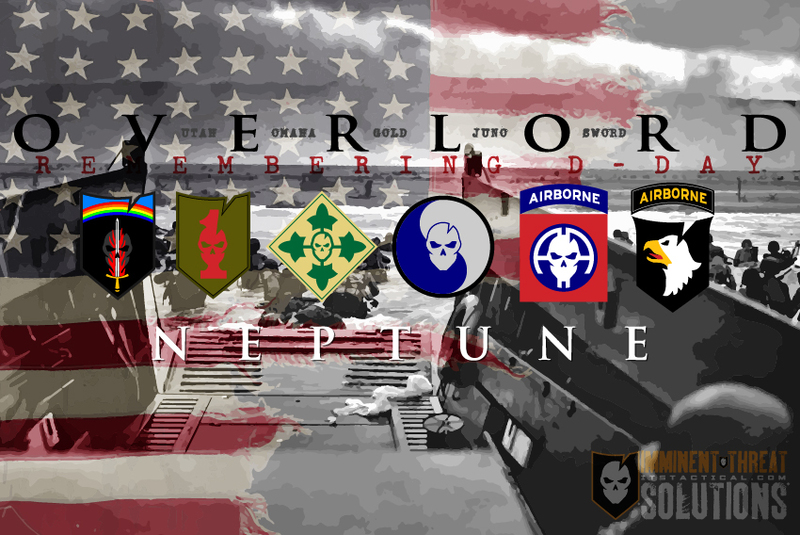 Operation Overlord was and still is the largest seaborne invasion in world history. It served as the pivotal moment in WWII because until that day, the Germans were unstoppable in Europe. 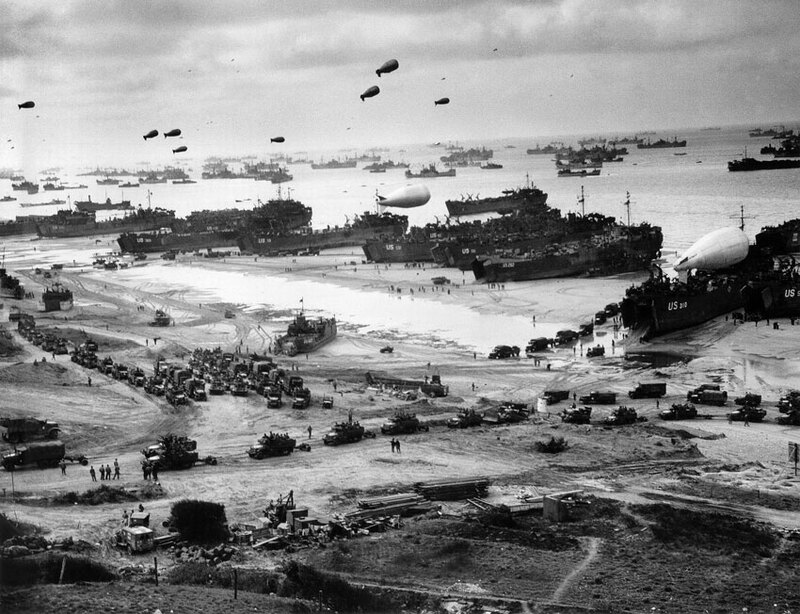 On June 6th 1944, 160,00 Allied Forces crossed the English Channel with the audacious plan of storming 5 beaches along a 50-mile stretch of the most well guarded coast line in the world; Normandy. The United States led the assault to take the coast from the Germans and gain a much needed footprint on Germany’s western front. The invasion of Normandy was one of the most heavily guarded secrets of the entire war and even the units conducting the initial assault were not aware of the exact landing locations. They used a variety of means to deceive the Germans, who knew an attack was coming, but didn’t know where it would occur. From fake equipment to false communications, the Germans didn’t know whether the Allies would hit Norway or France and were forced to spread their defenses in preparation. 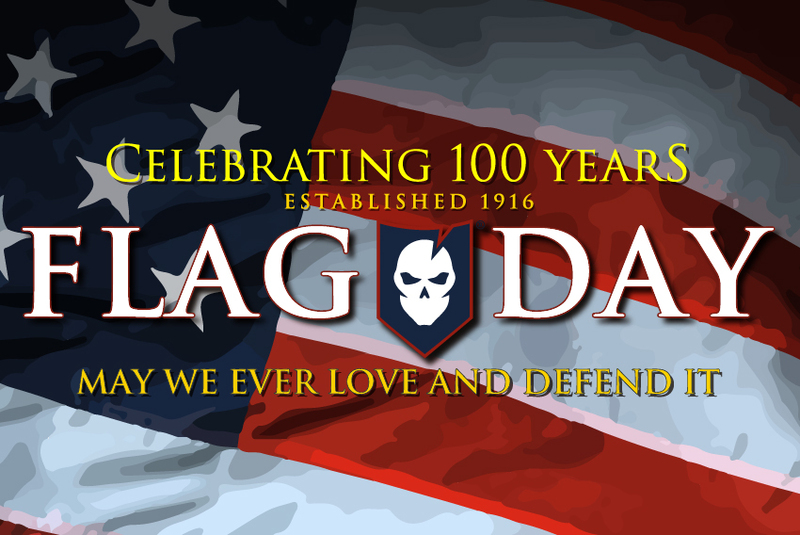 The attack was delayed for a day due to bad weather before the Supreme Commander of Allied forces, Dwight D. Eisenhower, gave the go ahead for the launch of the operation. 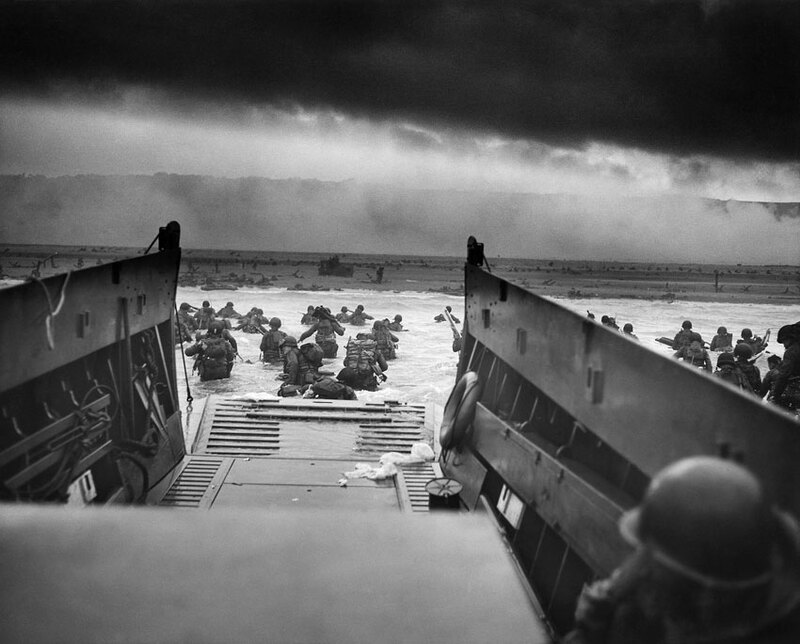 The code name for the crossing of the channel was “Neptune,” which was just one component of Operation Overlord. After midnight, 34,000 U.S., British and Canadian airborne troops parachuted into occupied France. At the same time, mine sweepers began clearing the channel. Comprised of 700 boats with 4100 landing crafts carrying infantrymen and over 9500 airplanes, the Germans found themselves heavily outnumbered with only 100 total ships in the area and a mere 115 aircraft. The secrecy of the operation proved to be an amazing success. At 0545 , the naval bombardment commenced while it was still dark and at 0630, the landing party hit the beaches. They faced heavy fire from gun encampments overlooking the beaches and a shore that was covered with mines, wooden stakes, hedgehogs and barbed wired obstacles. This made the work of the beach clearing teams both dangerous and difficult. The physical defenses of the beach were second only to the German’s ultimate defense weapon, the MG42. At the time, the MG42 was the fastest firing machine gun in the world; about double the speed of the American Browning Machine gun. The rounds fired so quickly that one could not distinguish individual shots, which sounded like tearing fabric. For this reason, the gun was known as “Hitler’s Zipper.” The speed came from its design; the Germans put the guns bolt on tiny rollers, which increased the loading speed of the rounds. This meant that the gun could fire up to 1,500 bullets per minute. To put it simply, 25 bullets a second were being fired at the landing crafts from just one gun and there were five of them at Omaha alone. It’s hard for us to grasp the scale of this, but the boats at Omaha were taking fire at a rate of 125 bullets EVERY SECOND! Casualties were heaviest at Omaha due to its high cliffs. At Gold, Juno and Sword, towns were cleared with house-to-house fighting. The Waffen SS planned on reaching the coast within two days of initial assault, but Allied air power, Eisenhower’s spies and French Resistance contacts contributed to an effort that kept the Waffen SS from reaching the front for two weeks. German casualties were around 1,000 and the Allied casualties were at least 12,000 with 4,413 confirmed dead. If there was ever a lesson in what a well fortified position can mean, even with inferior air power and support, it can be found in the casualty disparity between the forces. In a war of attrition, however, the ability to back fill positions and breach a perimeter can be accredited to Eisenhower’s ability to make a hard decision. He knew that men would be lost and that many who survived would be experiencing combat for the first time. This risk was secondary to the advantage of gaining a position that would make it possible to pave a path to Berlin. The Allies did not achieve all their goals on D-day. Only Juno and Gold beach were linked in the first 24 hours. All five bridgeheads weren’t connected for nearly a week. However, the operation was successful and led to the Allies gaining a foothold that gradually expanded as they moved into Germany and the west. Less than a year after the beach landing, Germany surrendered due to the Allied push on the western front and the Soviet advance from the east. The Geo-Political landscape of the last 70 years has been shaped by the outcome of WWII. The U.S., China, France, United Kingdom and what is now the Russian Federation became permanent members of the United Nations Security Council and have all retained superior global positions since the conclusion of the war. WWII was the deadliest conflict in human history. 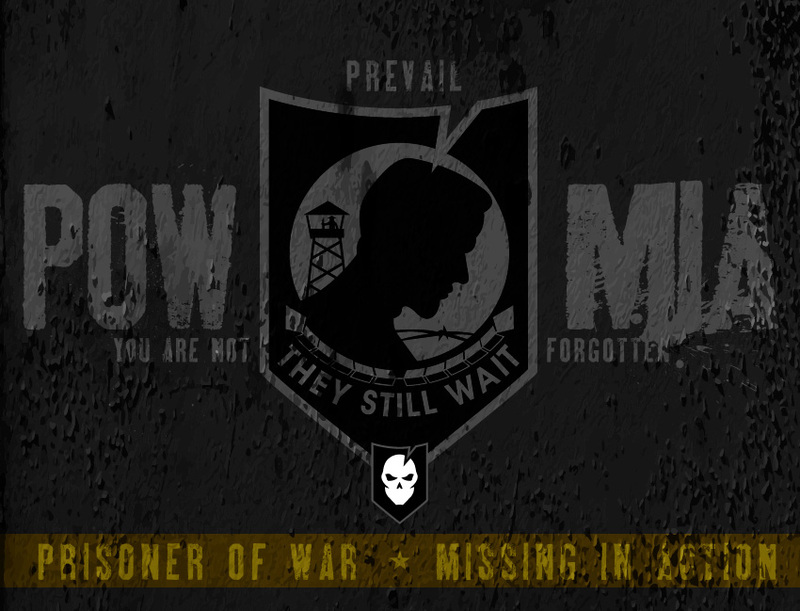 It’s estimated that somewhere between 50-85 million lives lost were lost. Let us remember those who were lost in what can be easily described as the single most influential, hard fought and bloodiest moment in all of human history.